A Fantastic Golf Course, All Year Round – Established in 1880, our hilltop course has a reputation for firm fairways and excellent greens. Our free-draining soil means that we remain open when other local courses close. Practice Facilities - We have a high quality Driving Range (members recieve a discount on Range Tokens), three hole Academy Course, two large practice areas (one of which is in development as a Short Game Practice Facility - opening in 2020), two practice nets, a Chipping Green and a Putting Green. An Extensive Club Diary - All sections of the Club (Mens, Ladies, Seniors and Juniors) contribute to the compilation of the club fixture list and social golf calendar. The variety and number of opportunities to play competitions, inter-club matches and social golf is something that we're very proud of. Online Bookings – We use Intelligent Golf, an online system that not only enables remote signup for tee times and competitions but also gives interactive results and advanced membership communication. there is also an App which can be downloaded so Tee Bookings can be made 'on the move'. Members Guests - We are pleased to offer our members discounted green fee rates for your guests. County Cards - Every member of a Wiltshire Club is entitled to a County Card that gives discounted green fees at most golf clubs in England. 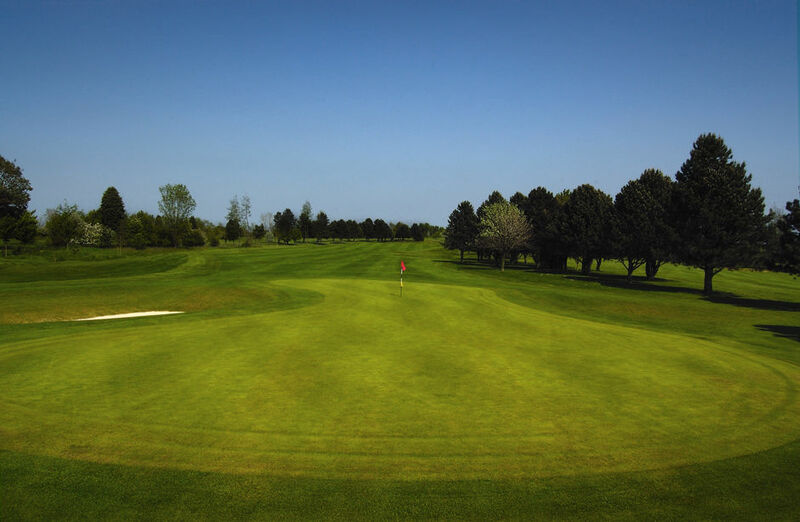 In Wiltshire, the card entitles the member to a green fee of up to £25 or a maximum of the club's member green fee rate. In most clubs outside of Wiltshire the rate is 50% of the standard green fee rate. Reciprocal Golf – We have reciprocal arrangements with seven other golf clubs: High Post; Sherborne; Salisbury & S.Wilts; Minchinhampton, Clevedon, Craigau and Bramshaw. Members can play there without charge throughout the year. Members book through the Club Office giving 2 weeks' notice. Discounts – Kingsdown Golf Club members enjoy 15% discount on cold drinks at the bar and 10% discount on food. Discounts increase the more you eat and drink. Members also receive discount when hiring The Plowright Room or hosting a function in the Dining Room. Excellent Catering - from JJ Sports Catering, who produce everything from bar snacks to three course dinners and finger buffets. Categories and Payment Options - we offer various membership types and payment options. Free membership for Junior Golfers - subject to the Junior having a parent or grandparent who is a Full member of the Club. An Affiliation Fee still needs to be paid to England Golf & Wiltshire Golf. Considerate Membership Policy - Ability to defer membership in the event of illness or extended periods of working away.